The idea of a European Super League has been much mooted over the years, often as a bargaining chip by the top clubs looking to extort greater benefits from UEFA. However, there has always been the underlying belief that it would never happen – that it was nothing more than an empty threat. However, the revelation that Qatar are hoping to create a Dream Football League may bring this previously theoretical scenario into reality. And it would not be a good thing for football fans. The general basics are as follows. 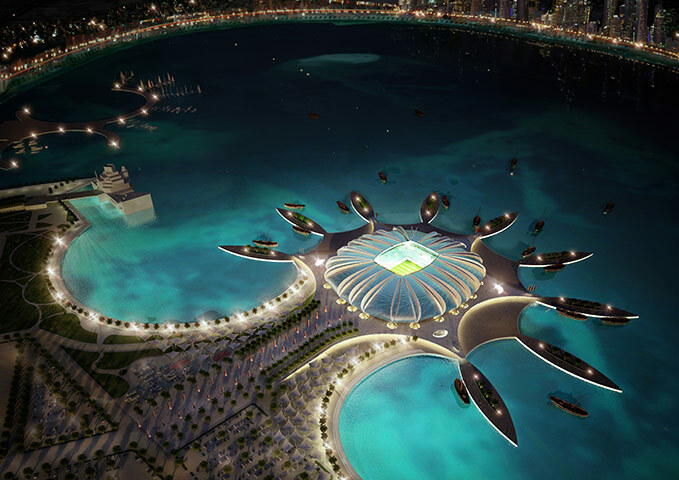 A 24-team tournament, hosted biannually by Qatar and its Gulf neighbours. It would have 16 permanent members, including four Premiership clubs, and eight clubs competing on an invitational basis. It is believed that the organisers are willing to offer Europe’s biggest clubs up to an eye watering €200m per two-year rotation. It is that money that is where the problems begin. As a comparison, Manchester City received prize money of around £60m for winning the Premiership title last year, although just £15m more than the team finishing bottom of the table. For winning the Champions League, Chelsea received prize money of around £47.3m. In other words, the top English teams would receive almost four times as much for simply competing as they would for winning the title, even before taking prize money into account. They would receive over four times as much as for winning the Champions League. Each club would be given an annual budget of £2bn, its own stadium, training facilities and medical facilities. Players would be paid up to four times their current salary for the duration of the competition. They would receive accommodation on tax-free artificial islands. However, this would virtually spell the end for domestic leagues. It would laugh in the face of UEFA’s proposed financial fair play laws. With the participation fee and any associated prize money, the richest group of clubs will immediately increase their revenue by hundreds of millions of pounds. This prize money would be accepted as revenue under the UEFA FFP regulations. As a result, these clubs could spend hundreds of millions more than the rest of the clubs in the league, meaning that no outsider could ever dream of challenging the entrenched elite. It would be in UEFA’s best interests to fight this development. The sums of money involved with the DFL would no doubt mean that the Champions League would be side-lined by the top clubs, in the same way that the League Cup in England is almost seen as a reserve tournament. Whether they can get the support from clubs remains to be seen. PSG, owned by Qatar Sports Investment, would likely be a willing signee. Similarly Manchester City with their Emirati ownership could be easily convinced. Even Barcelona, currently sponsored by the Qatar Foundation, could be tempted. The Dream Football League could potentially shape the future of football. However, far from being a dream for football and fans worldwide, it could be a nightmare that is impossible to wake up from.